What gets you excited about trying a new restaurant? The food menu or the drinks list? Well, Elixiba should satisfy both. 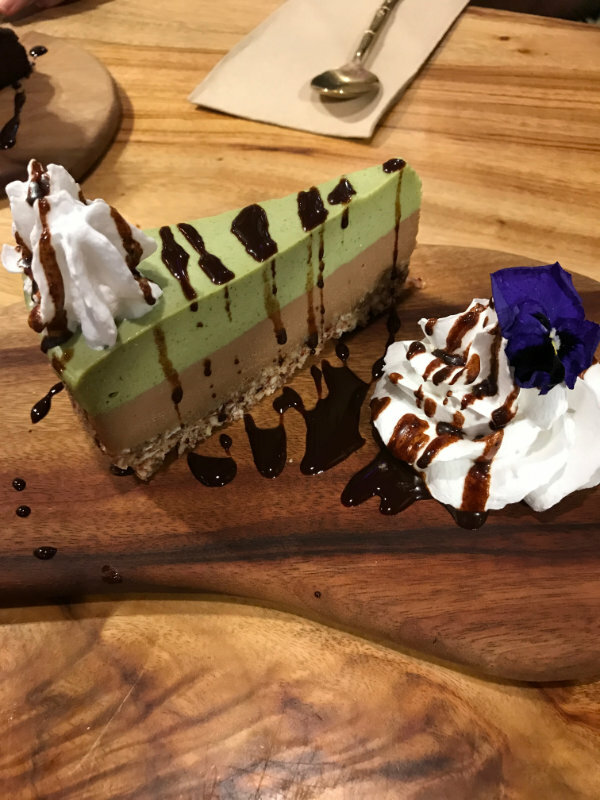 They have been open on the Sunshine Coast and Byron Bay for a few years, but have only recently opened on the Gold Coast. You can find them at The Kitchens in Robina Town Centre. 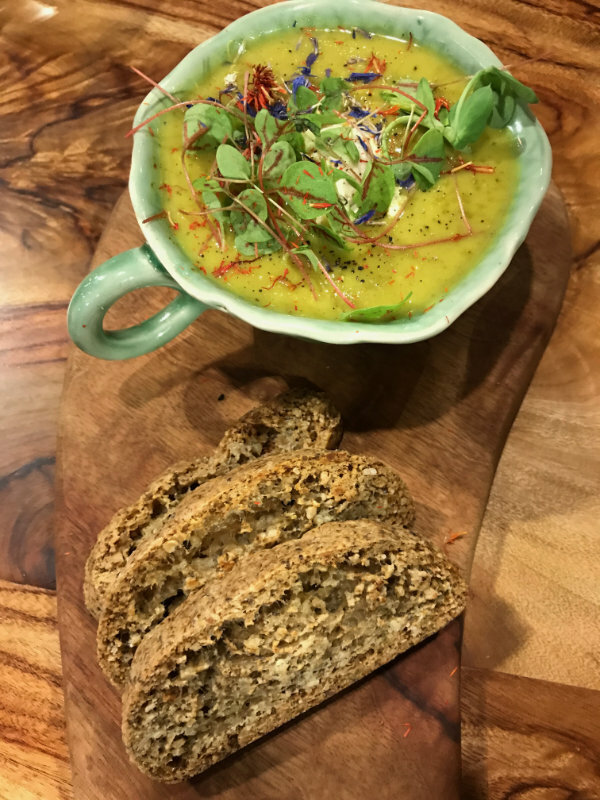 Their menu is completely plant-based and their drinks menu is categorised by the effect. So whether you’re looking for something energising, mood enhancing, for lovers, for vitality, refreshing or relaxing there’s a drink just for you. 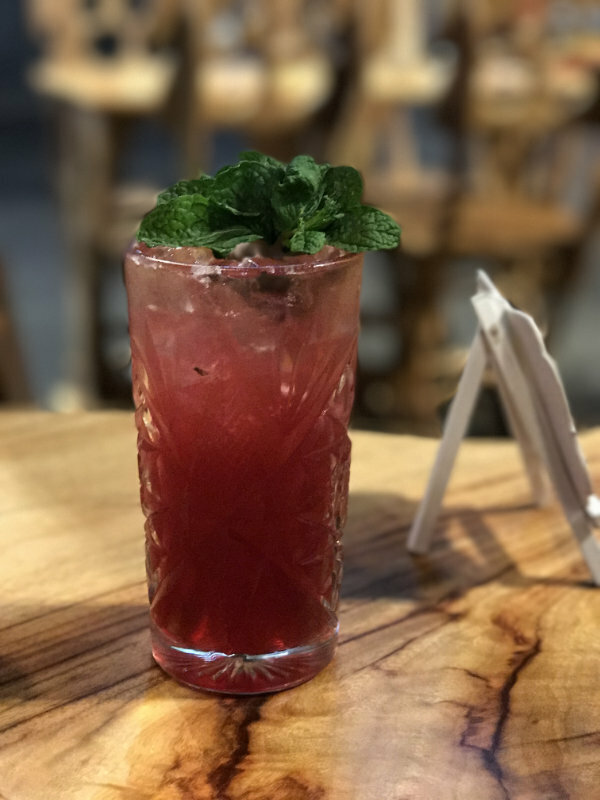 Whether you’re after a beer, a liquor, a shot or a soda they have you covered with offerings such as yerba mate beer, ginseng liquor, botanical shots or a rose spritzer. I’ve been here for drinks and nibbles as well as meals and have never been disappointed. 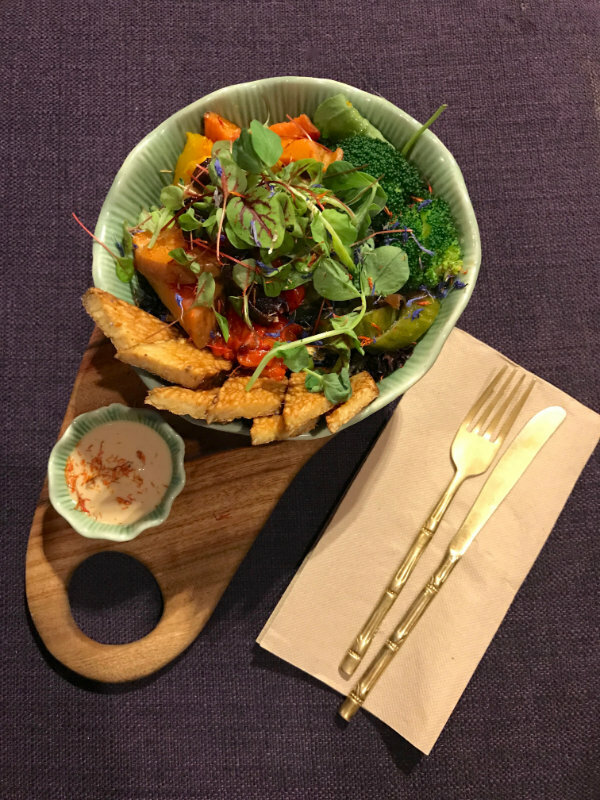 It’s a great place to catch up with friends, sitting in the booths and eating edamame, olives, hand cut chips and vegan meat balls whilst enjoying an elixir of health – either alcoholic or non alcoholic such as the elixir of happiness. They also have a Cheshire Cat – which I’ll be trying next time. It literally changes colour before your eyes. It’s a citrus tequila cocktail. Or you could indulge in a finger lime martini or enjoy any one of their range of coconuts. The meals are a generous serving size and full of fresh vegetables, protein and great sauces. I had a macro bowl with tempeh and black rice. Their menus are seasonal so what you see here may not be on the menu when you visit. Daily specials are also available. The last time I went the special was so popular they only had one serve left. And then, of course, they have desserts. Rich, decadent, large desserts, guaranteed to leave you with a full belly. 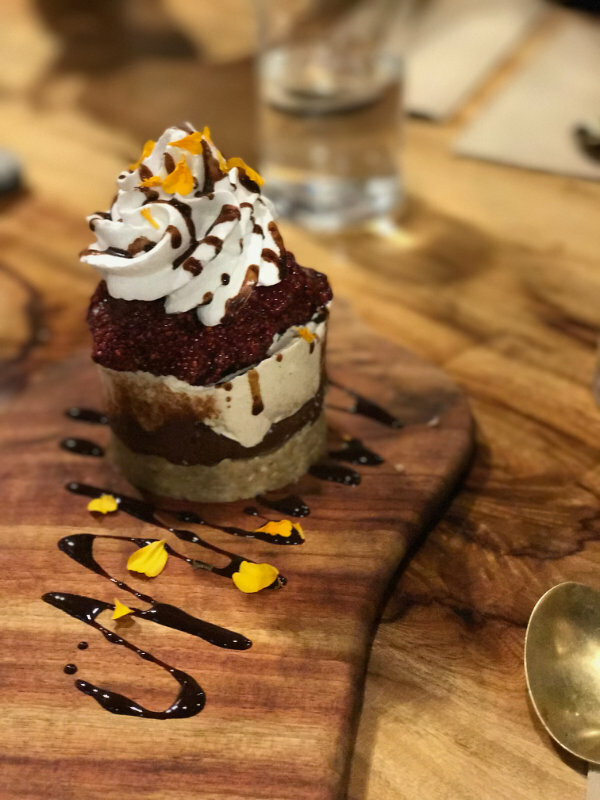 If you like your dessert, go for it and have a full one on your own, but if you just want a small sample it might be best to share. The other thing I love about it is the decor. It’s not your standard tables and chairs. As I was walking around The Kitchens one day, I let a friend choose where we would get a drink. She chose Elixiba because it looked cool, with their timber designer chairs and tables and she was so excited when she looked at the menu and saw so many things for me to eat! It was only then that I told her it was vegan. And, perhaps the icing on the cake, is the fact that Elixiba is a Big1 Business – a business for good. We strive to uphold the values of ‘conscious commerce’ – a way of doing business that aims to enhance the lives of everybody involved in it, to be ecologically sustainable, and to play a role in the global movement for positive change. So you can eat and drink here knowing you are making a positive difference to the world. Peace! 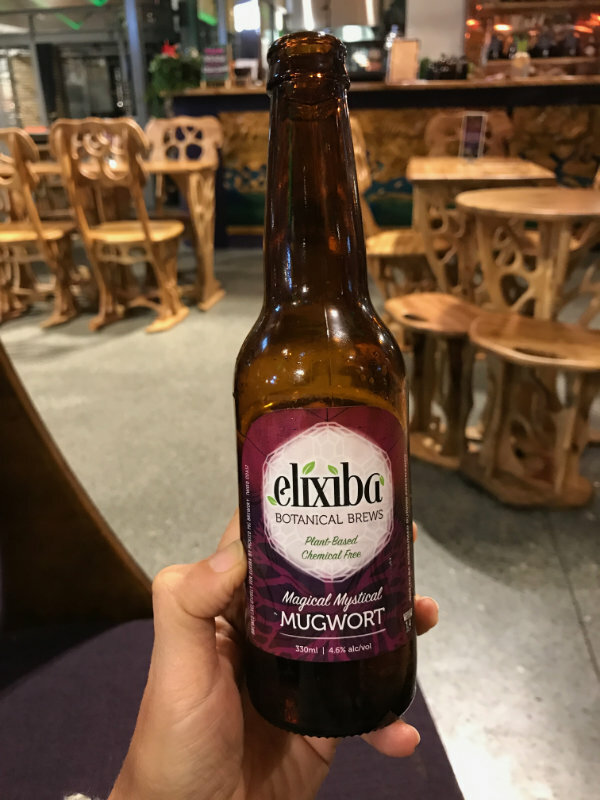 Have you tried Elixiba? Let me know what you thought.